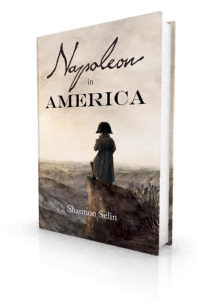 In Napoleon in America, the first head of government to learn of Napoleon’s escape from St. Helena is the Prime Minister of Great Britain, Lord Liverpool. Lord Liverpool was born Robert Banks Jenkinson on June 7, 1770. His father, Charles Jenkinson, was an advisor to King George III. His mother, Amelia Watts, was the part-Indian daughter of an East India Company official. She died one month after Robert was born. 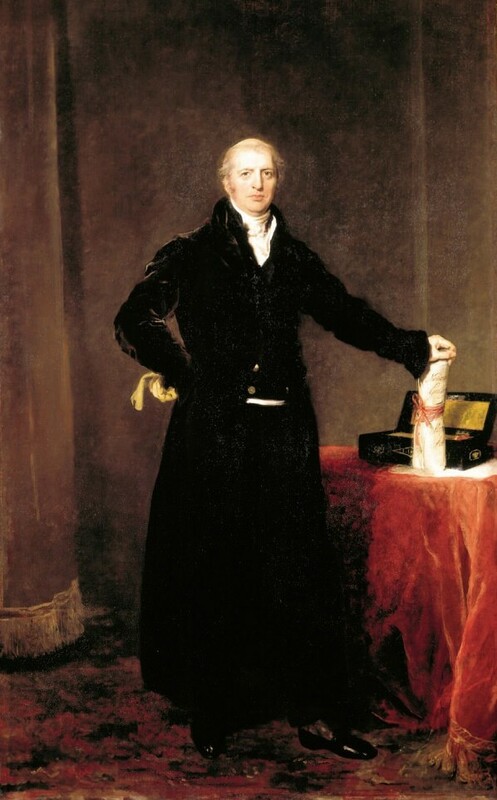 After receiving a good education, Liverpool (who was known as Lord Hawkesbury from 1796 until his father’s death in 1808) became a politician. Helped by his father’s influence, he rose quickly through the Tory ranks and held a number of Cabinet posts before becoming Prime Minister in 1812. The impression one gets of Lord Liverpool from accounts written by his contemporaries is of an honest, hard-working, conscientious man and a skilled Parliamentary speaker, though not exactly a social success. Even before becoming Prime Minister, Lord Liverpool was well-acquainted with Napoleon. He served as Foreign Secretary from 1801 to 1804, and as War Secretary from 1809 to 1812. In the latter position he was responsible for the Duke of Wellington’s forces in Spain. As Prime Minister, Liverpool oversaw the final battles of the Napoleonic Wars, Napoleon’s first abdication and escape from Elba, and Napoleon’s defeat at the Battle of Waterloo in 1815. Although there were some shaky post-war years, Liverpool eventually succeeded in guiding Britain back to prosperity. His interest in painting and sculpture led to the foundation of the National Gallery in 1824. Liverpool suffered a stroke in February 1827, which forced him to resign as Prime Minister. He died of another stroke on December 4, 1828, at the age of 58. Liverpool Street in London is named after him. Peter Quennell, ed., The Private Letters of Princess Lieven to Prince Metternich, 1820-1826 (New York, 1938), p. 160. Dorothea von Lieven to Prince Metternich, June 2, 1820, Ibid., p. 37. Charles W. Wynn to the Duke of Buckingham, January 14, 1824, in Richard P. Grenville, Memoirs of the Court of George IV. 1820-1830, Volume 2 (London, 1859), p. 33. Charles W. Wynn to the Duke of Buckingham, Dec. 13, 1823. Ibid., p. 19. Dorothy Marshall, The Rise of George Canning (London, 1938), p. 290. Charles Greville, The Greville Memoirs: A Journal of the Reigns of King George IV and King William IV, Volume 1 (London, 1875), p. 38. Norman Gash, Lord Liverpool (London, 1984), p. 121. He speaks as much above his talents, as he talks (in common conversation) below them.